These days we hear a lot about color blocking techniques being in fashion. Many young designers have incorporated this style into their collections, some much more successfully than others. Let’s begin with the definition of color blocking. It describes a style of wearing large blocks of seemingly disparate colors that actually complement each other in a bold sort of way. The key words here being ‘seemingly disparate’. No matter how tempting you must resist the urge to throw in patches of all the colors of the rainbow into one piece. Use two or three colors arranged in different amounts. We don’t mean play it safe and lock up your inner wild child, using fierce colors is great but do it wisely. For one thing avoid too many bright colors set in horizontal stripes. Always go vertical, or use sharp geometric patterns, these are slimming and make a statement. Panels are fast flying out the window, instead use the half n half or geometric patchwork cuts. At the risk of stating the obvious your sleeves should be monochrome, clowns are not in fashion! For those of us who are still timid at heart but want to keep up there are always the classics; black and white, or shades from the same family are always pretty too. Remember small touches create a large impact so you can add small touches of color using borders and patis to a solid frame or introduce color through your accessories; shoes, a belt, a dupatta etc. Some of our favorite color blockers are Maheen Karim, Sofia Naveed Lari and Nida Azwer. Maheen always surprises us with combinations we wouldn’t dream would look so great once put together. 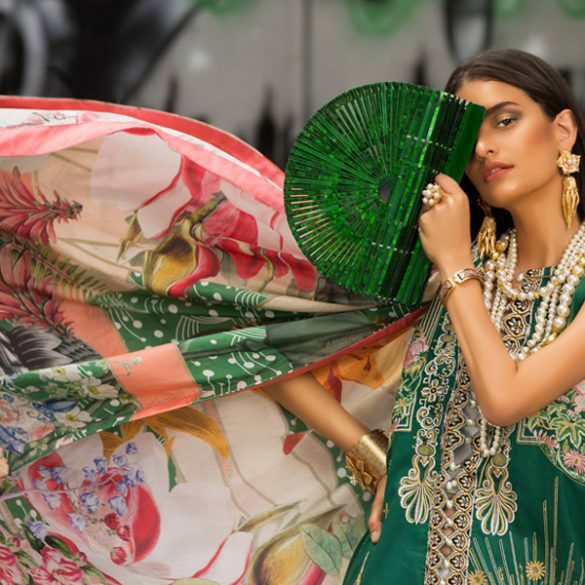 SNL is for the bright and brave intelligently arranged, and Nida Azwer introduces formal elements to color blocking, an otherwise pret-ish trend. Of our private labels we think Yusra Masood and Rida Shazad have a gift for color assembling. Visit their designer profiles to view their complete collections. Class dismissed!